Bring a stylish place to set decorations or drinks to your modern living room with this contemporary chairside table. Interlocking wood legs and a concrete composite top create a trendy yet relaxed look that is sure to catch the eye of every guest you invite into your home. 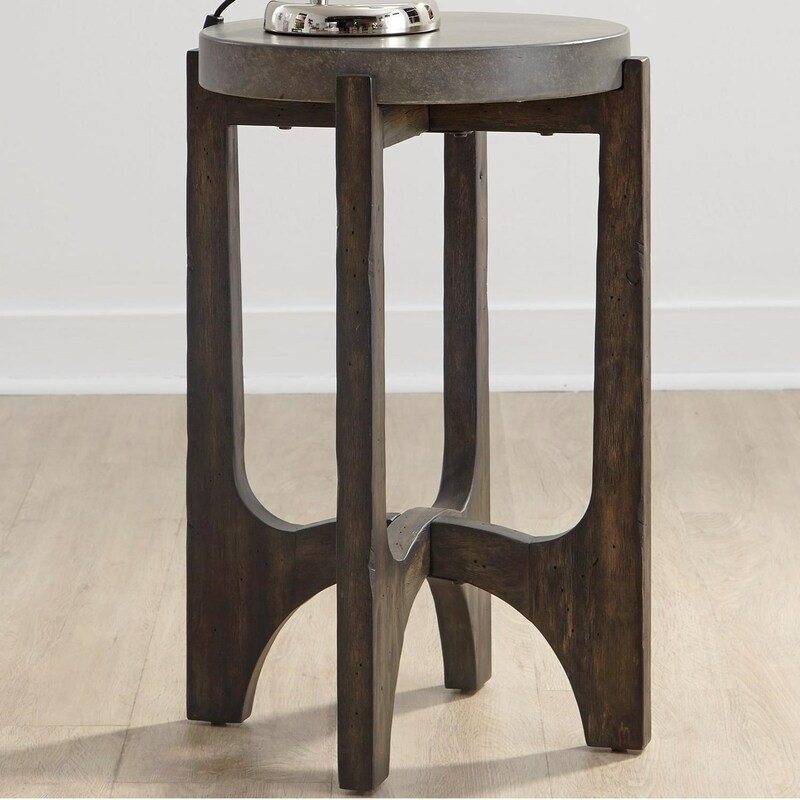 The Cascade Contemporary Chairside Table by Liberty Furniture at Miskelly Furniture in the Jackson, Pearl, Madison, Ridgeland, Flowood Mississippi area. Product availability may vary. Contact us for the most current availability on this product. Update the look of your living room with this contemporary occasional table collection. 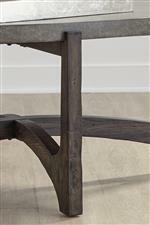 Smooth, round lines seen in the interlocking wood legs and the round tops create a soft yet modern look to the piece. Your guests will by impressed by the unique style of your living room with a selection from this collection. The Cascade collection is a great option if you are looking for Contemporary furniture in the Jackson, Pearl, Madison, Ridgeland, Flowood Mississippi area. Browse other items in the Cascade collection from Miskelly Furniture in the Jackson, Pearl, Madison, Ridgeland, Flowood Mississippi area.